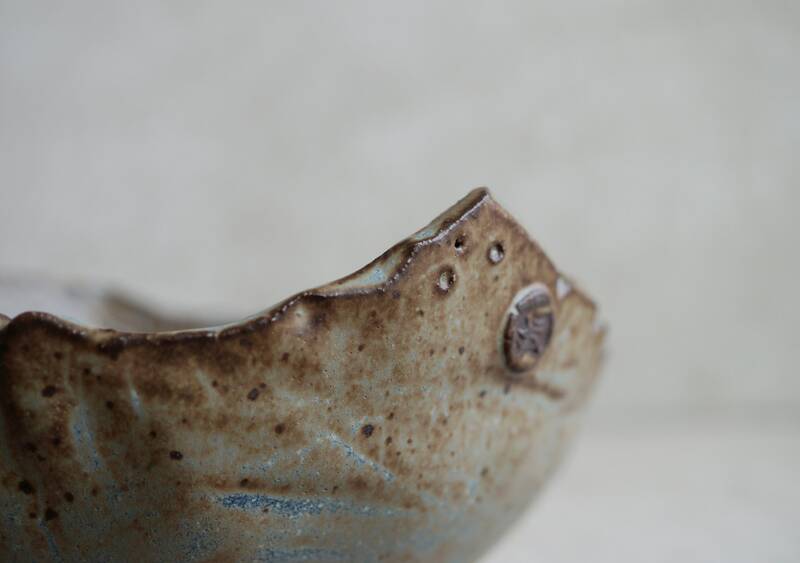 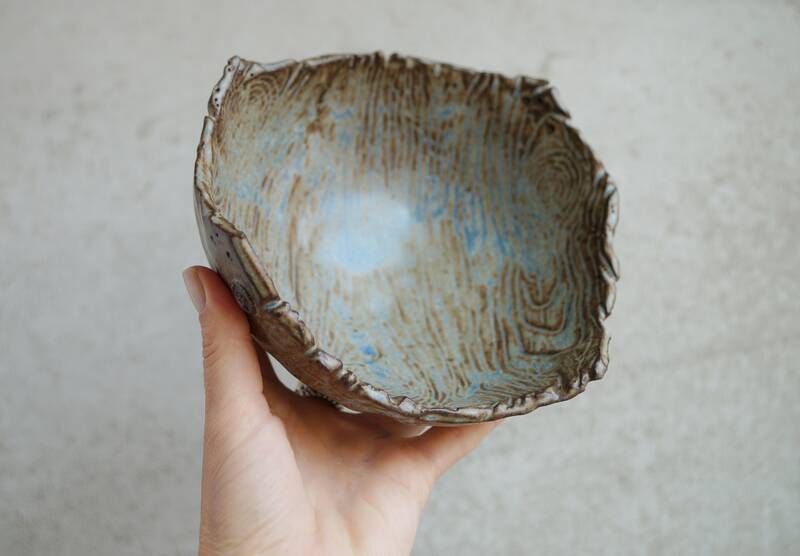 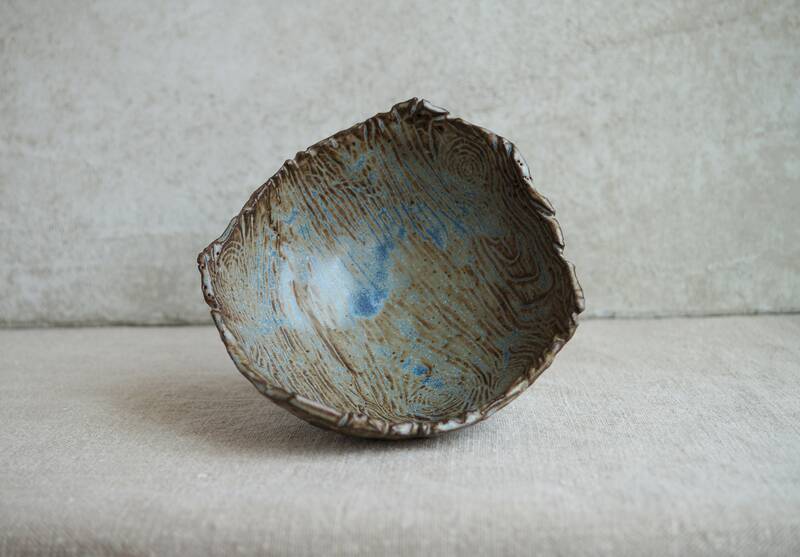 Crafted in loving detail, artfully shaped is this ceramic bowl. 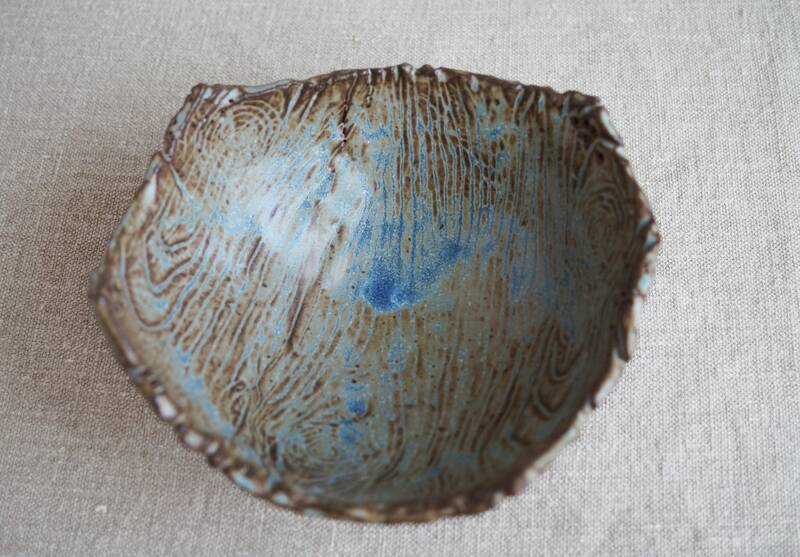 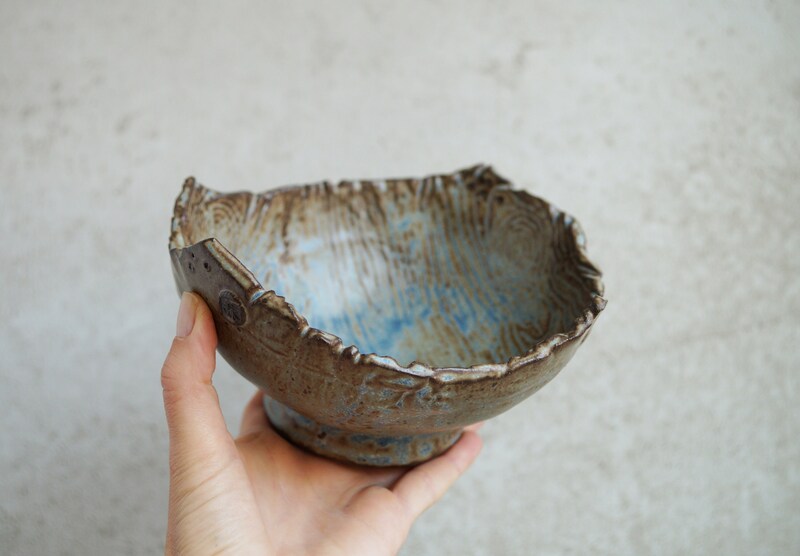 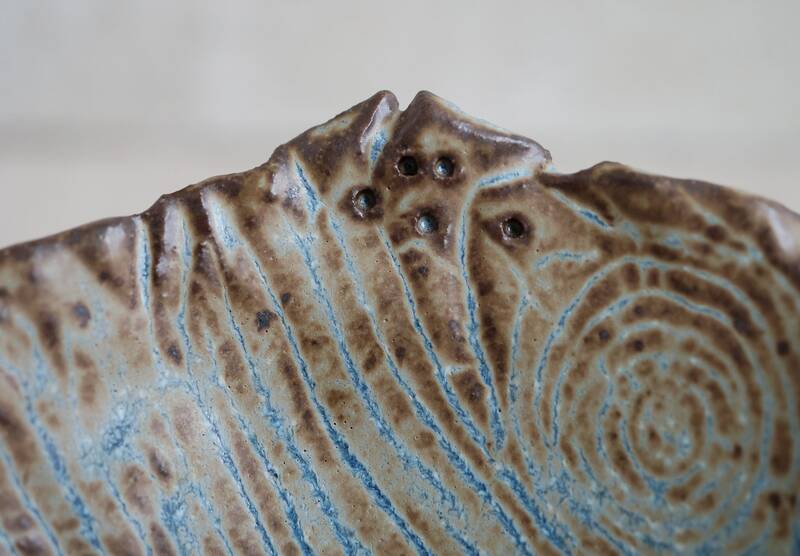 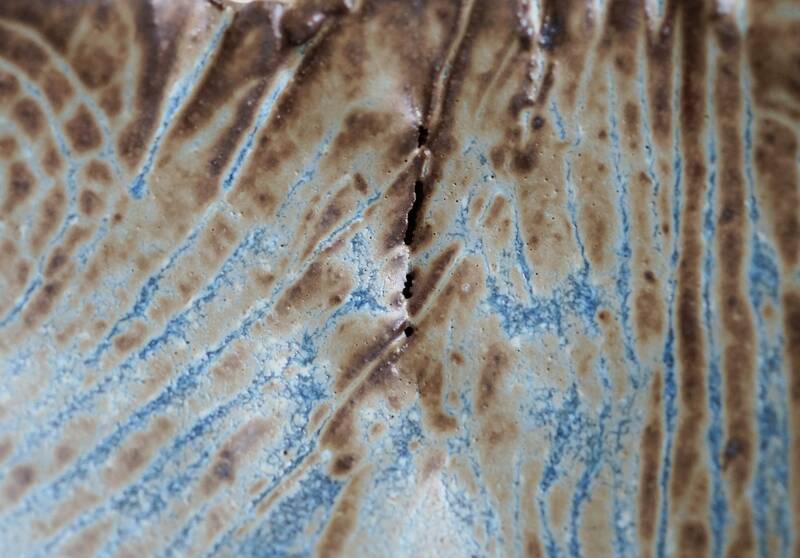 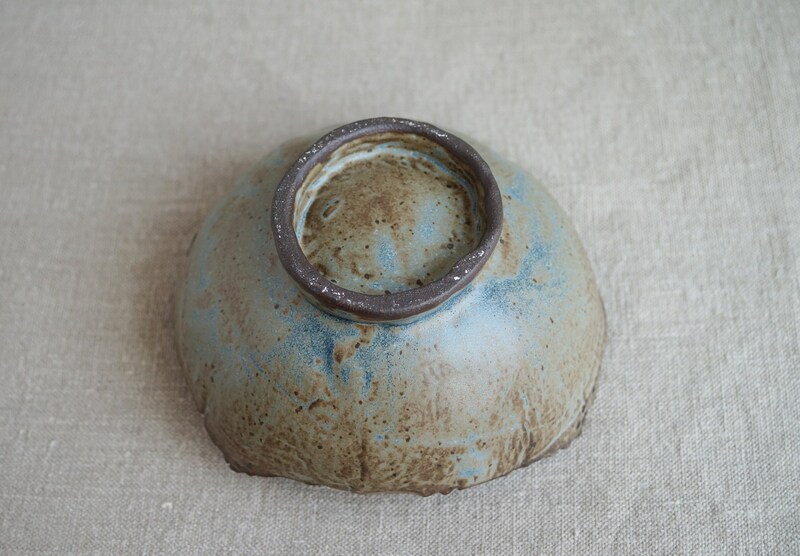 A rustic matte blue glaze is a beautiful contrast with the natural color of the California black clay. 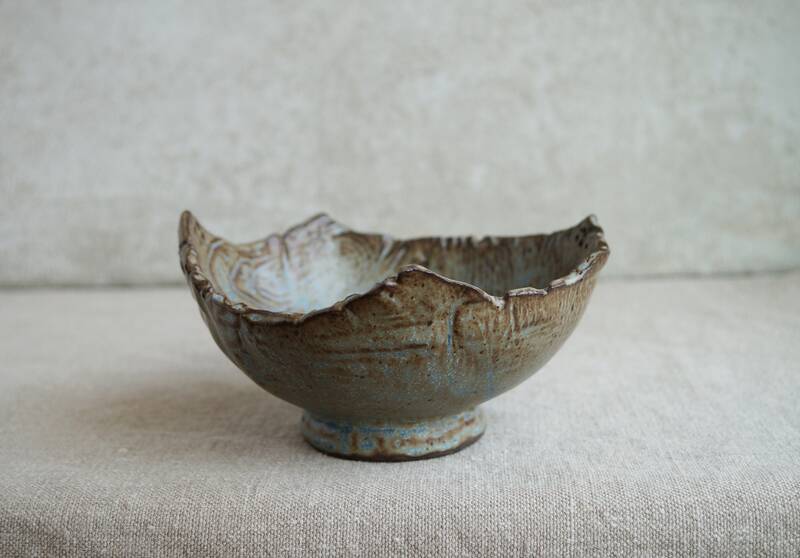 This bowl is lovely sitting on any table, as well as using to serve your favorite food.